Appearance: A clear, bright liquid. Nose: Crisp, complex and inviting. Juniper and citrus with floral, herbal notes. Taste: Classic juniper, moving to citrus and then sweet spiced notes. Overall, soft to start with a complexity of flavours which grows as you sip. Finish: Bold and long, with leafy herbal notes and hops. Balanced, with a crisp, dry lift at the very end. A handcrafted gin of exceptional quality, inspired by the vivid beauty and mystery of Africa, and a never-ending drive for perfection. Distilled in small batches by Johnny Neill, a direct descendant of Thomas Greenall and the last in a long line of distillers, Whitley Neill brings together eight generations of expertise and a life-long love of adventure. 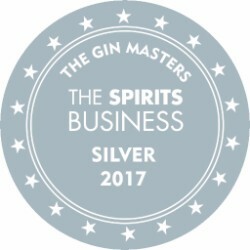 The result is an inimitable, award-winning gin that skilfully blends and balances rare African botanicals and unusual aromatics, to create an enigmatic experience to savour. 259 MicroShot points earned with purchase.